So what do you do on a dreary Sunday afternoon in late March??? Why go to Broadway of course!!! It was a particularly energized audience and cast yesterday as the two lead actors were performing their final show together. 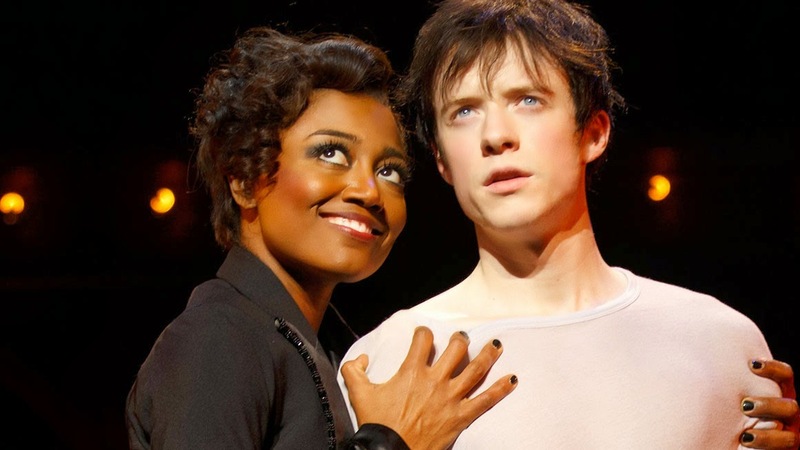 Patina Miller and Matthew James Thomas received resounding applause after each and every number. And at the end of the production we were sitting close enough to see the tears in eyes of several cast members. Miller soared as she revived Ben Vareen's award winning role of the Leading Player, or as I like to call the part, the "Master of Ceremonies". 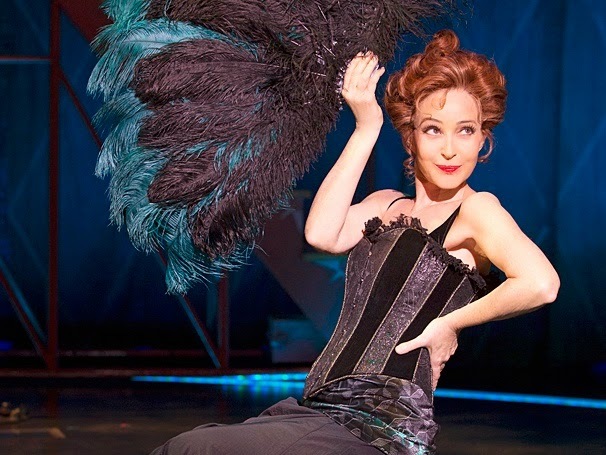 Another huge thrill was to see Annie Potts live on stage in the roll of Berthe, Pippin's granny. 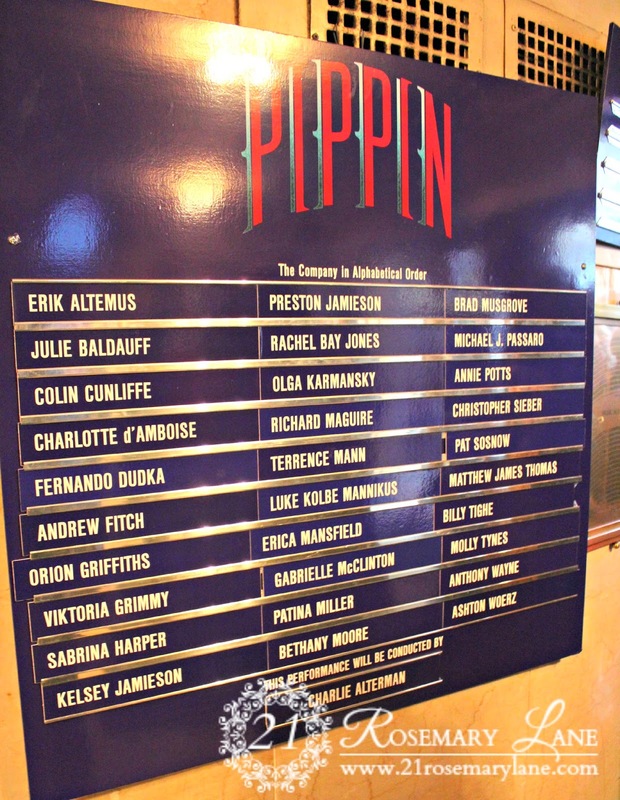 Potts just joined the Pippin cast in January of this year. 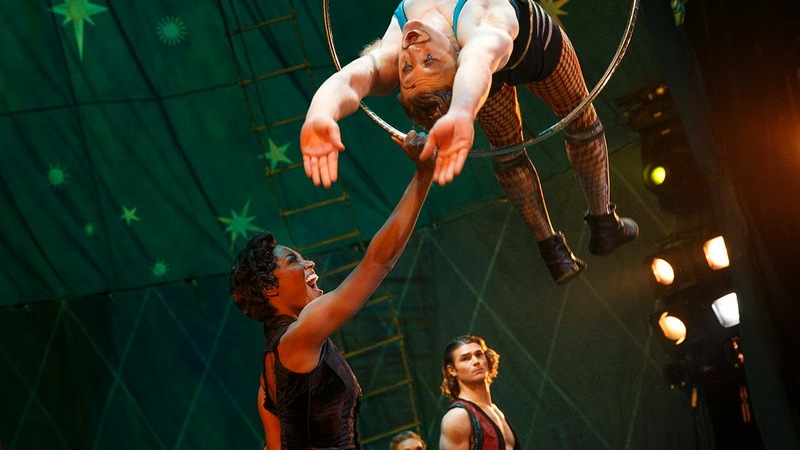 She was wonderful as she sang "No Time At All" while gyrating around on the trapeze. And the acrobatics performed during the show were phenomenal!!! 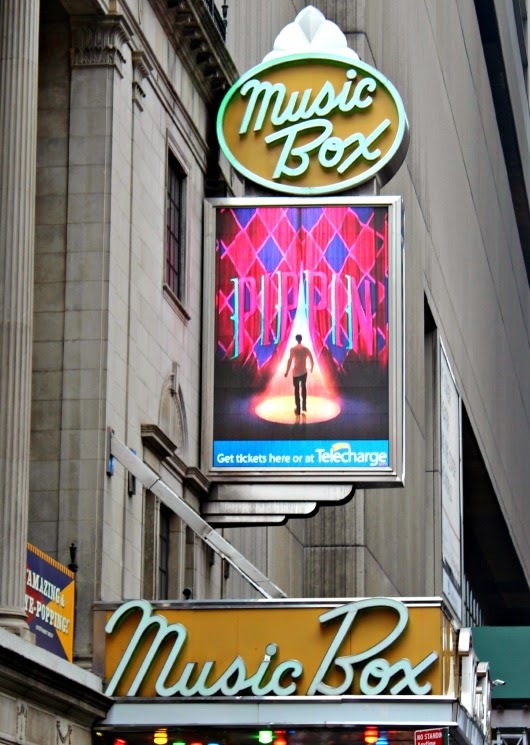 This new production of Pippin incorporates the worlds of both musical theater and that of the circus seamlessly for a show which will doing nothing short of taking your breath away! We all loved the production, just watching the You Tube trailer gives me the goosie! was simply out of this world! Oh wait before you go...pleeeeease don't forget to enter my Pfaltzgraff giveaway which is going on right now! 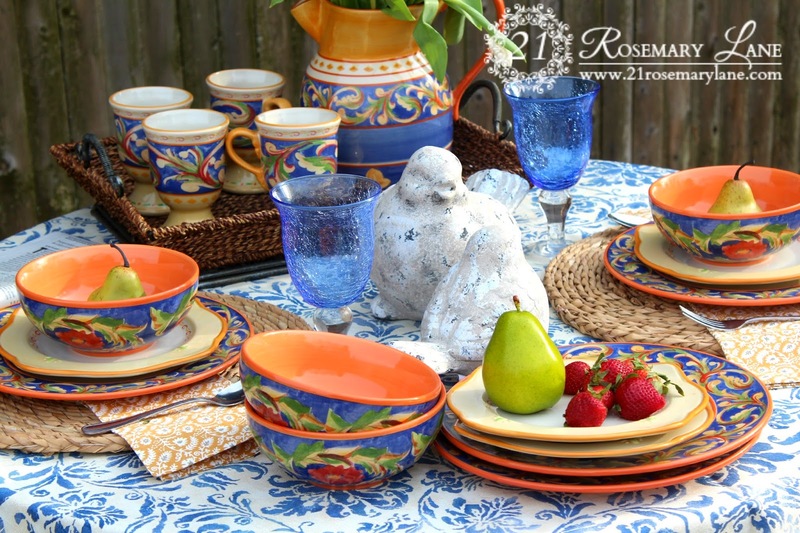 One of my lucky reader has the chance to win this beautiful 20 piece dinnerware set plus Sangria pitcher. 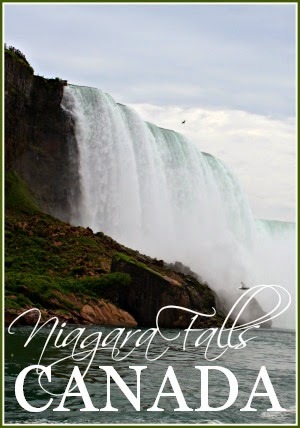 Just click on the image below to be taken there now! The giveaway is open now until Saturday April 5th at midnight. a winner will be drawn on Sunday April 6th. Wishing all who enter the best of luck!!! 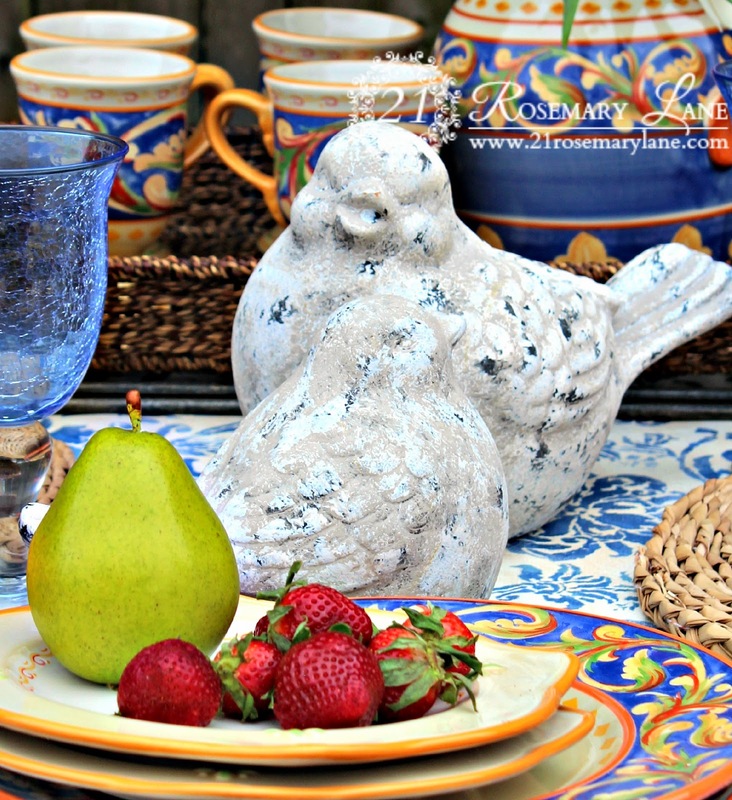 Last spring I was so very fortunate to be able to share with you a tablescape I put together based on the wonderful book The Secrets of Pistoulet by Jana Kaplan. The book's beautiful illustrations by graphic designer and photographer Mary Tiegreen were adapted by Pfaltzgraff to create a gorgeous collection of dinnerware called Pistoulet. 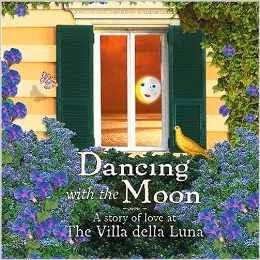 "Dancing with the Moon ~ A Story of Love at Villa della Luna". Again Kaplan's fairy-tale was illustrated by Mary Tiegreen and published in 1997. 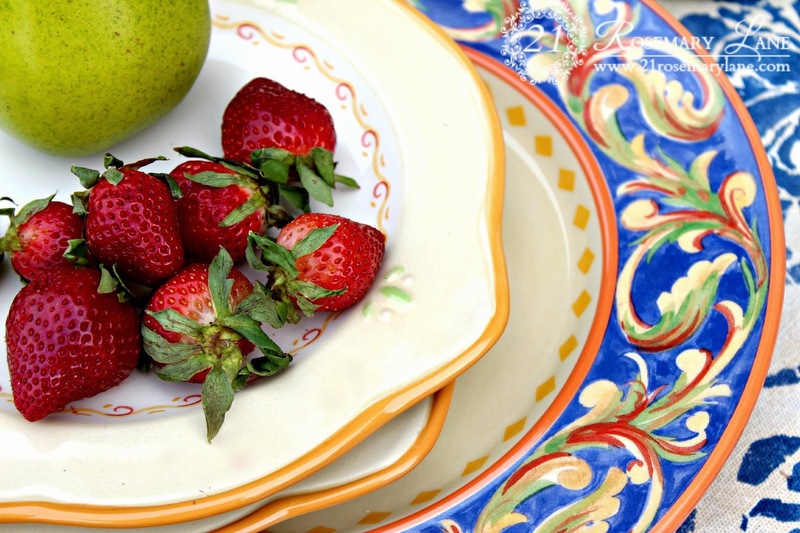 In 2004 Pfaltzgraff adapted Tigreen's illustrations to design their Villa della Luna collection, so 2014 celebrates the tenth anniversary of this stunning dinnerware. This time the journey of our heroine Mademoiselle J. brings her to The Villa della Luna, a magnificent seaside abode in Italy. 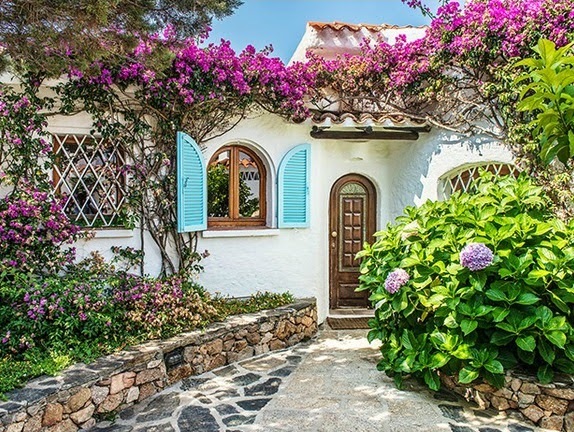 As in Pistoulet, the Villa is an unexpectedly delightful place where Mademoiselle J. discovers her "true self" through both daily walks with her dogs and more encounters with enchanted recipes. 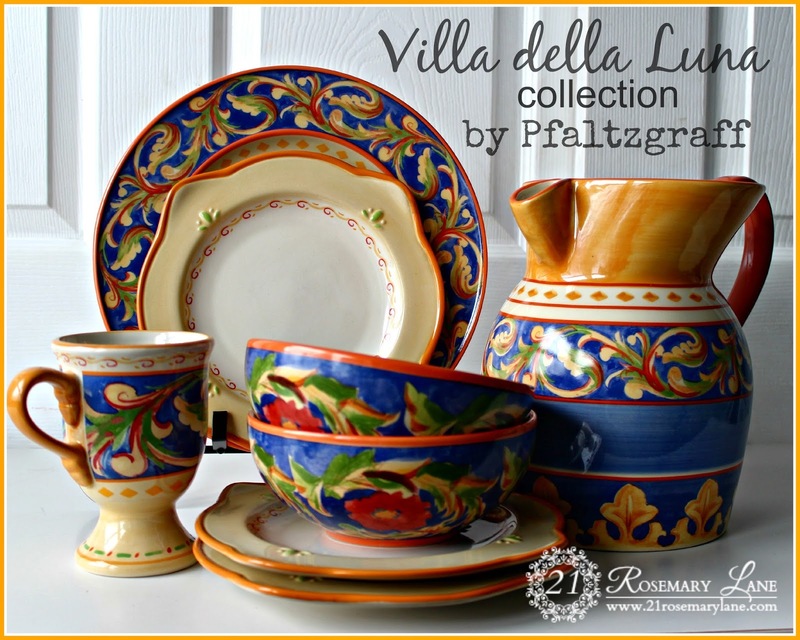 Pfatzgraff's Villa della Luna collection is superbly weighted and beautifully decorated with the bright colors of earthy Terra cotta orange, sunflower yellow, and deep Mediterranean blue. 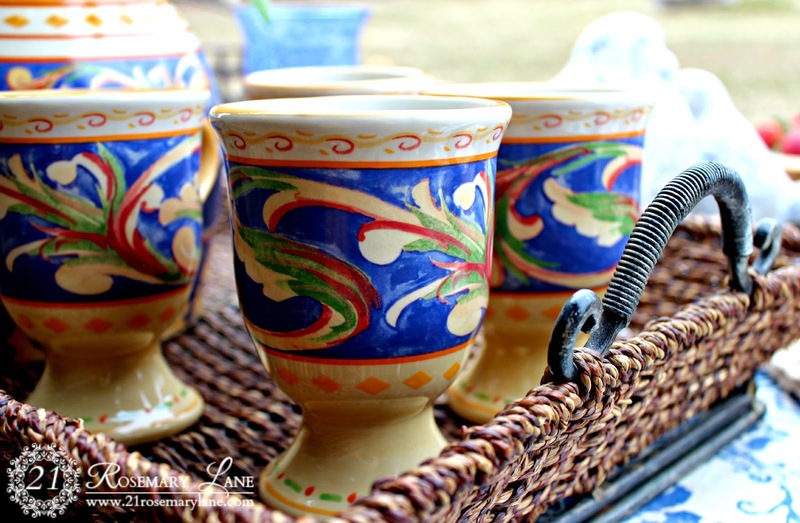 I just adore these pedestal mugs, they seem to make what ever hot beverage I am drinking that much more special. These can hold a full 12 ounces of tea or coffee. At The Villa della Luna one can experience the magic of wonderful delicacies such as The Minestrone of Memories and Reflection which unlocks memories of the past to help one to move on with their future. I can imagine this cheery soup bowl as the perfect vessel for such a culinary delight. 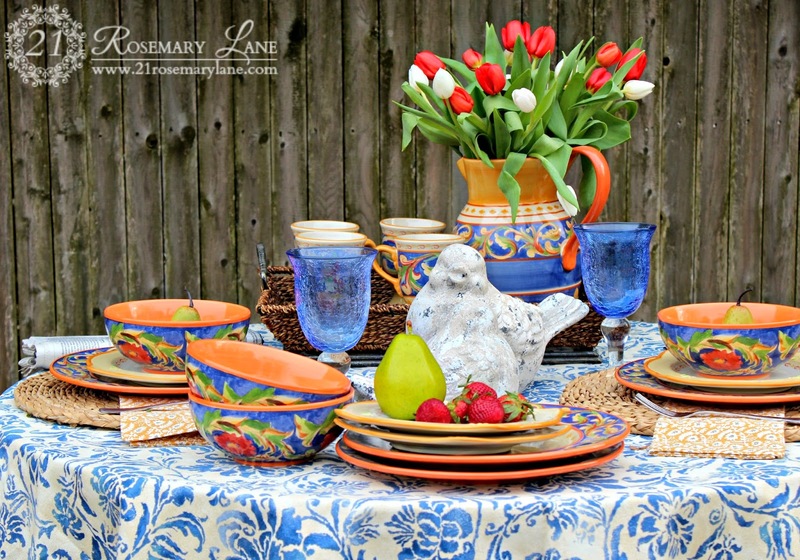 I love the bright and bold design of the dinner plate and how it contrasts with the lighter more delicate and somewhat whimsical pattern of the scalloped salad plate. 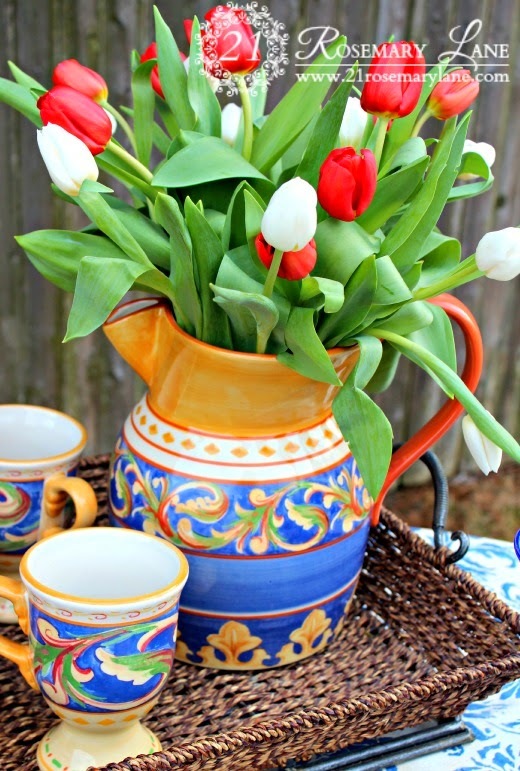 This beautifully designed sangria pitcher filled with tulips is the perfect centerpiece for my rustic Italian tablescape. And since Kaplan's tale is one of love, I could't help but to add two chippy love birds to the table. 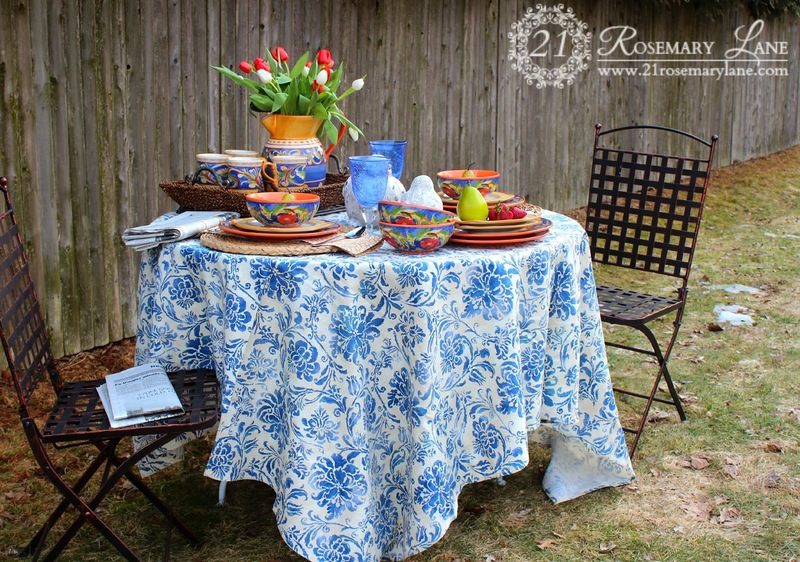 I absolutely love the idea of dining Al Fresco even if there still is a wee bit of snow on the ground. The gray stockade fence had been transformed into a glowing hue of spun gold in the light of the setting sun...almost as if by magic! I can't help but to think that possibly the enchantment of The Villa della Luna may have had something to do with this beautiful metamorphosis. 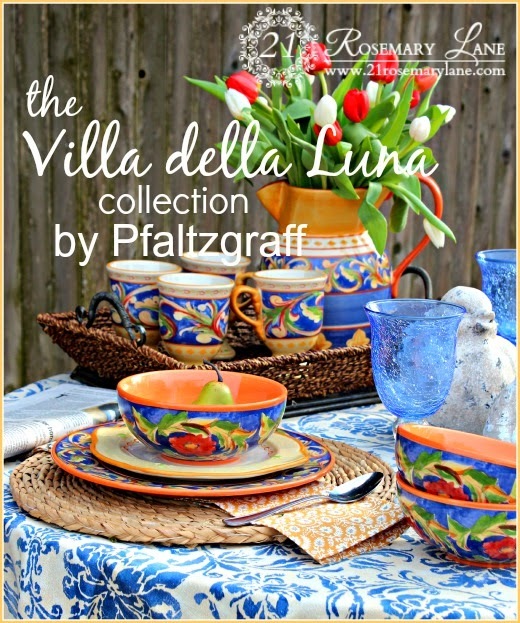 To be whisked over to Pfaltgraff and view more of the Villa della Luna anniversary collection, just click here. Yes I did say giveaway!!! 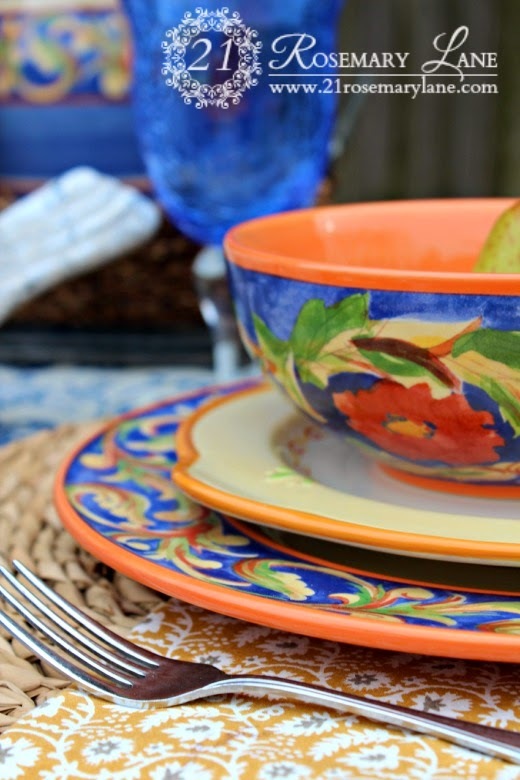 It has been ten years since Pfaltzgraff first launched this fabulous collection of dinnerware, and to celebrate the anniversary they are offering this wonderful giveaway. 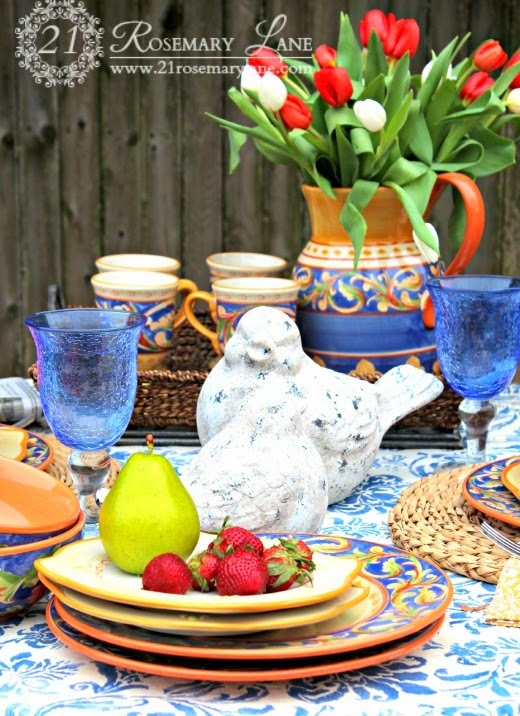 One of my lucky readers will win a table setting for 4 including the gorgeous anniversary sangria picture. So there are a few ways you can enter this giveaway, just be sure to leave a separate comment for each entry. 1. Like and subscribe to Pfaltzgraff's Facebook page. To take this step click here. Then come back and leave me a comment you did so. 2. 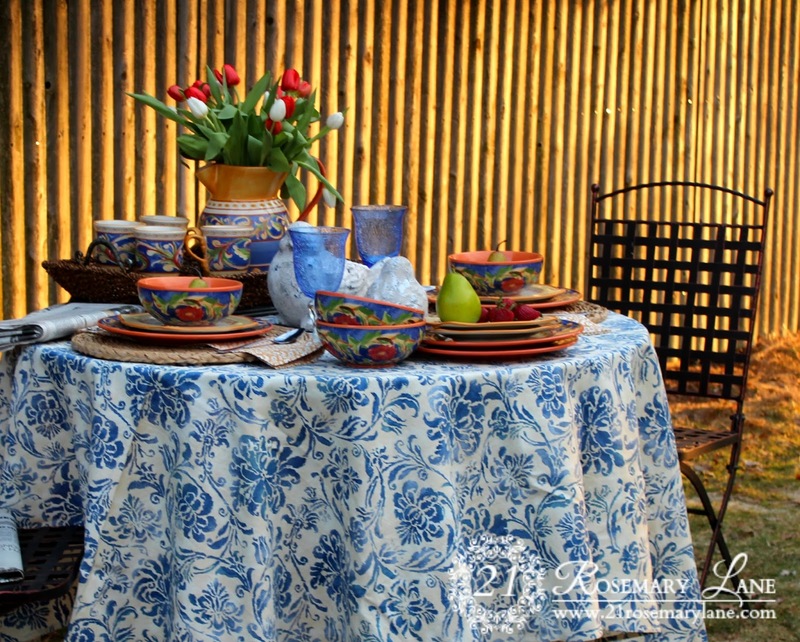 Leave a comment on this post or on Pfaltgraff's Facebook page about my table setting. If you comment on Pfaltzgraff's Facebook page come back and leave a comment that you did so here. 3. 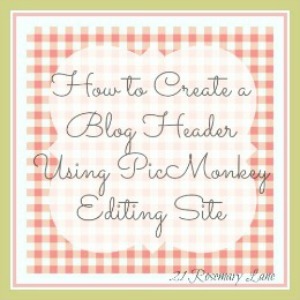 Blog or post a blurb to your Facebook page about the giveaway with a link back to the giveaway and/or add the giveaway button below to your blog's sidebar. 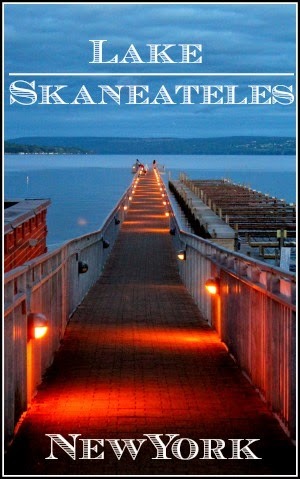 Leave a comment that you did so on this post. 4. 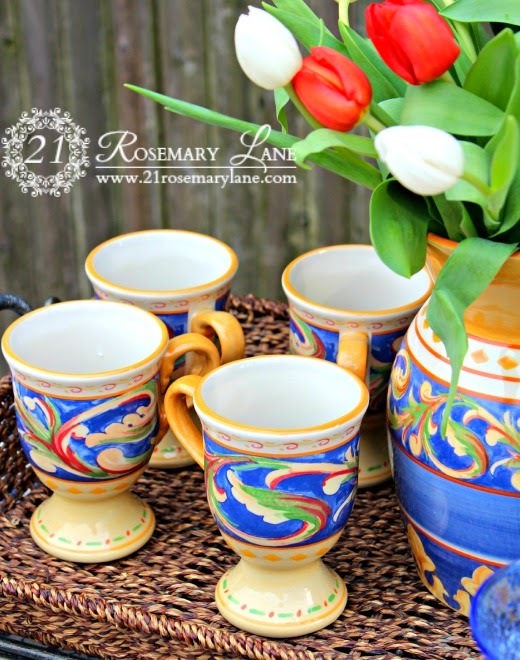 This is sooooo optional, but if you would like to follow 21 Rosemary Lane as a new follower, it would be wonderful. Just let me know in a comment that you are new or if you are already a follower, so another entry is added for the giveaway! 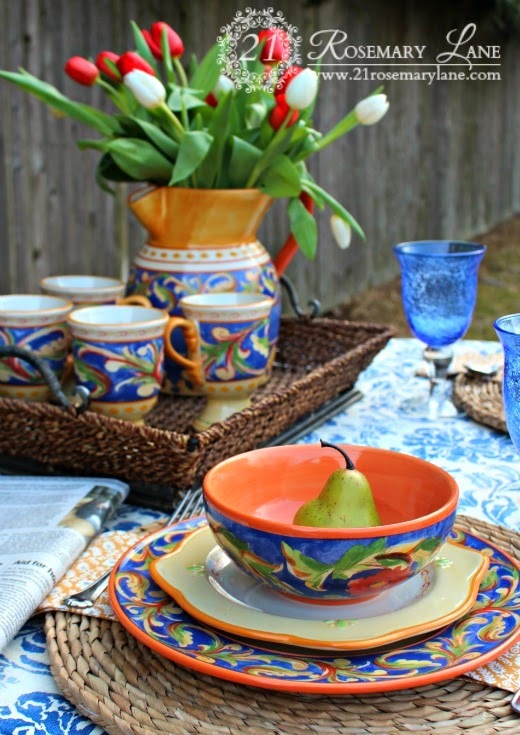 Remember each comment is one entry so you have up to four chances to win this Pfabulous Pfaltzgraff dinnerware! The giveaway begins today and will be open until midnight Saturday April 5th. A winner will be drawn on Sunday April 6th and the winner's name will be announced in a post that same day. Best of luck to all who enter and wishing you all a pfantastic week! Lifetime Brands’ products have been provided free of charge in exchange for promotional consideration. 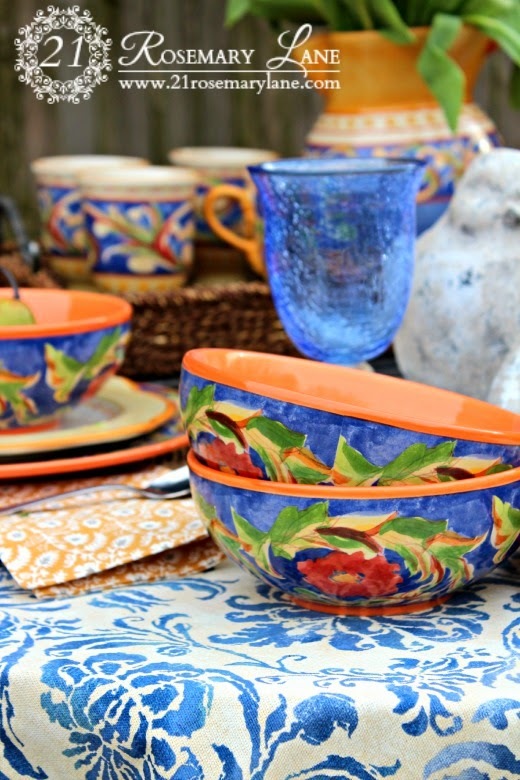 Heads up ~ Pfaltzgraff Giveaway Starts Tomorrow! 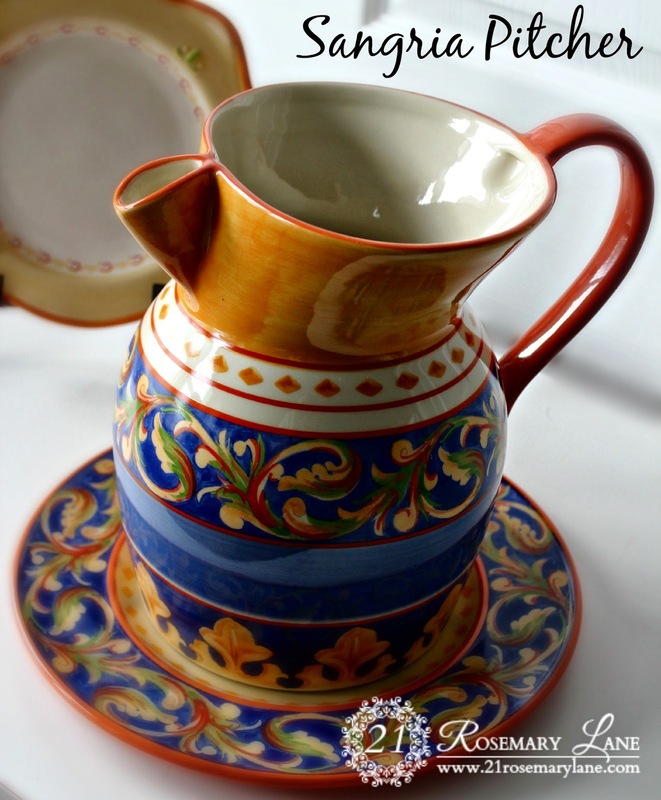 Tomorrow morning I will open the giveaway for this beautiful Italian inspired 20 piece dinnerware set from Pfaltzgraff plus one of their anniversary sangria pitchers. It will be easy to enter and will run for one full week. 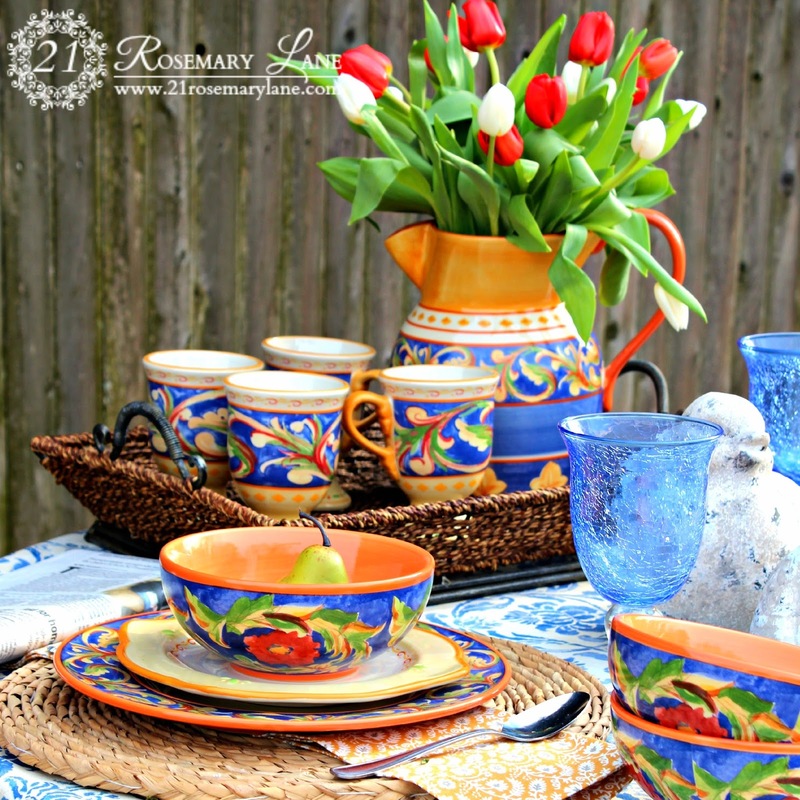 I am really excited about this giveaway because The Villa della Luna collection is absolutely gorgeous, perfect for dining al fresco in the soon-to-be-here nice weather. Imagine filling this beautifully designed pitcher with sangria or margaritas while enjoying wonderful conversation with friends on a warm spring evening. 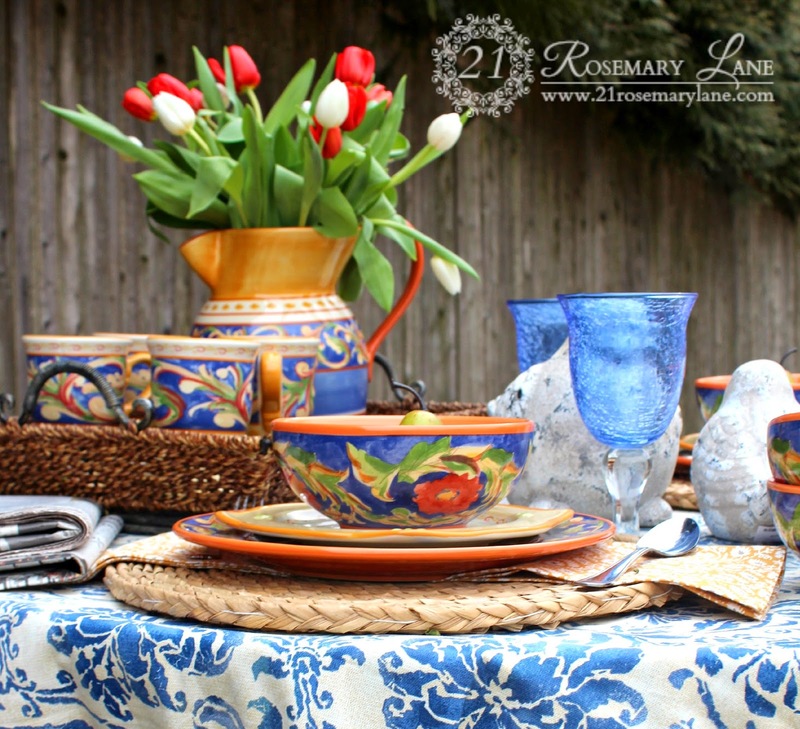 So please make sure to stop by beginning Saturday March 29th to get the details of how to enter to win this stunning collection. 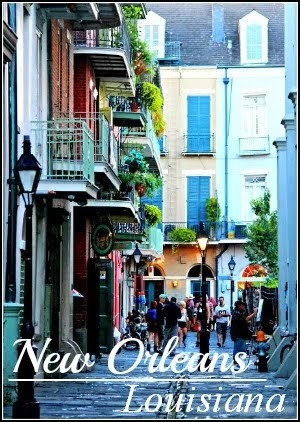 Ciao for now and have a wonderful weekend!!! 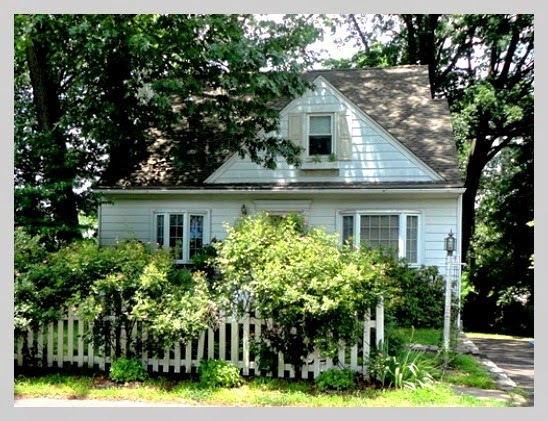 Memories of my Parent's First Home and Miranda Lambert's "The House That Built Me"
Originally posted on July 2, 2011. 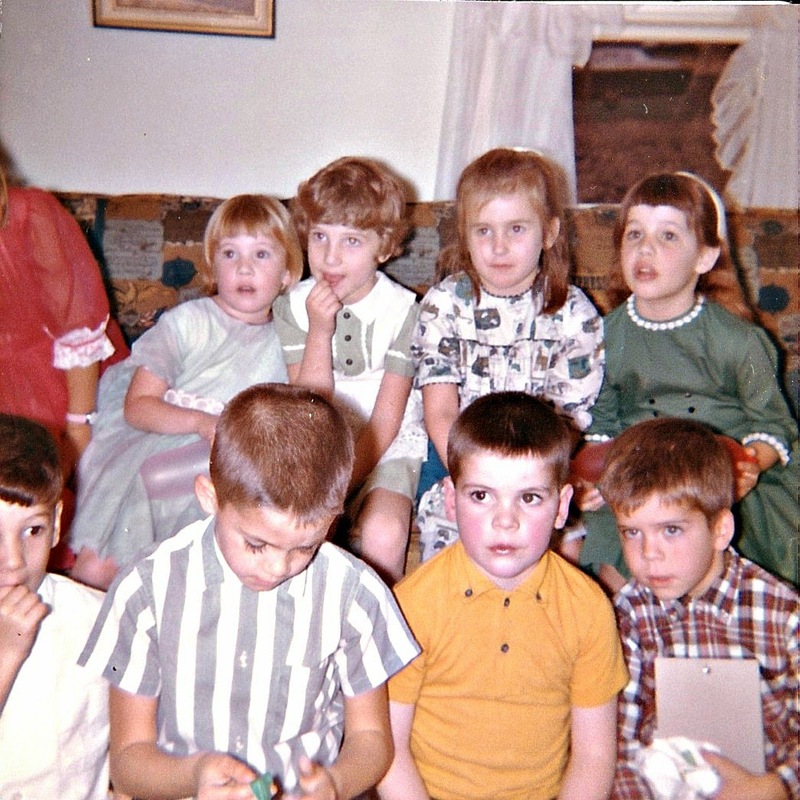 I had forgotten about this post since it was written so long ago, before I knew what a follower was, before I met any of the dear blogging friends I have now, and long before I realized what a wonderful world blogging was going to open up for me. Then yesterday someone left a comment on this post and so I went back to look at it, and as I read the words I wrote in 2011, I found myself being flooded with emotions. 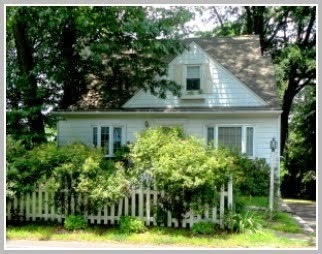 We lived in this home until I was 8 years old. We only moved one mile across town, but you would have thought by my reaction at the time, we were moving to Siberia. 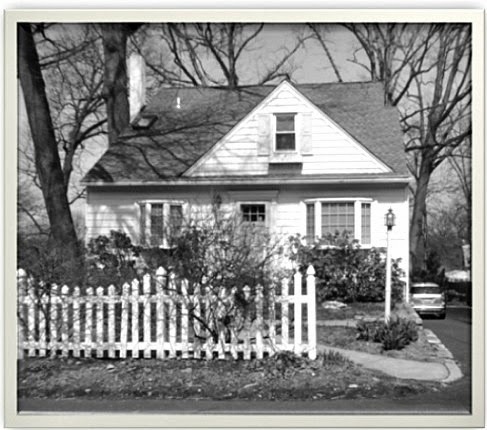 About 20 years after my parents moved from this home it was back on the market, and I decided to go to the open house. 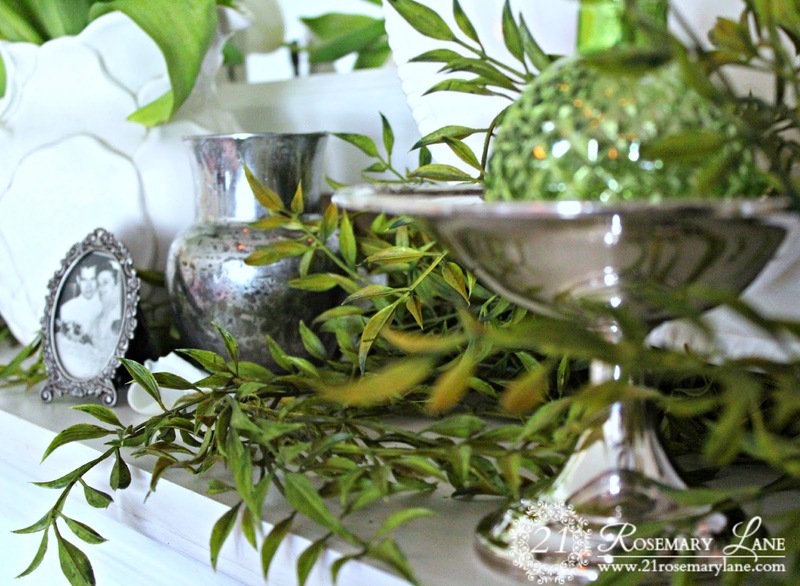 I hadn't been inside the house for a very long time, but despite any of the changes the succeeding owners may have made, it was still as I remembered. The Realtor asked me if I needed her to show me the house...I smiled and politely declined her offer. I just needed some alone time with my childhood home. When I came across this song I immediately connected with it because it took me right back to that day of the open house. 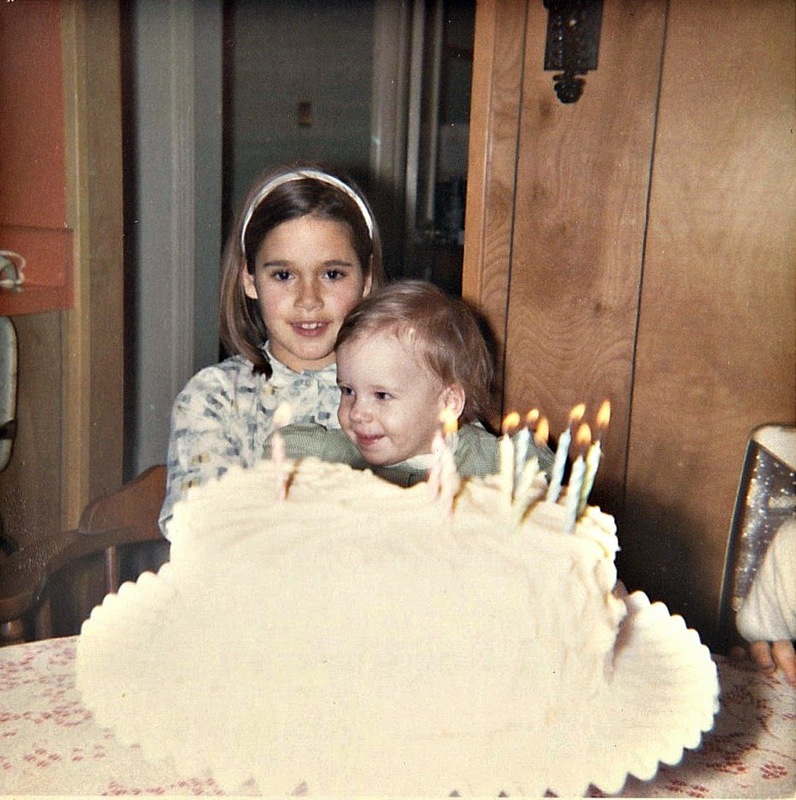 I remember walking into my old bedroom that I shared with my little sister Kim. The big oak tree which sat right outside our bedroom window was still there only larger. 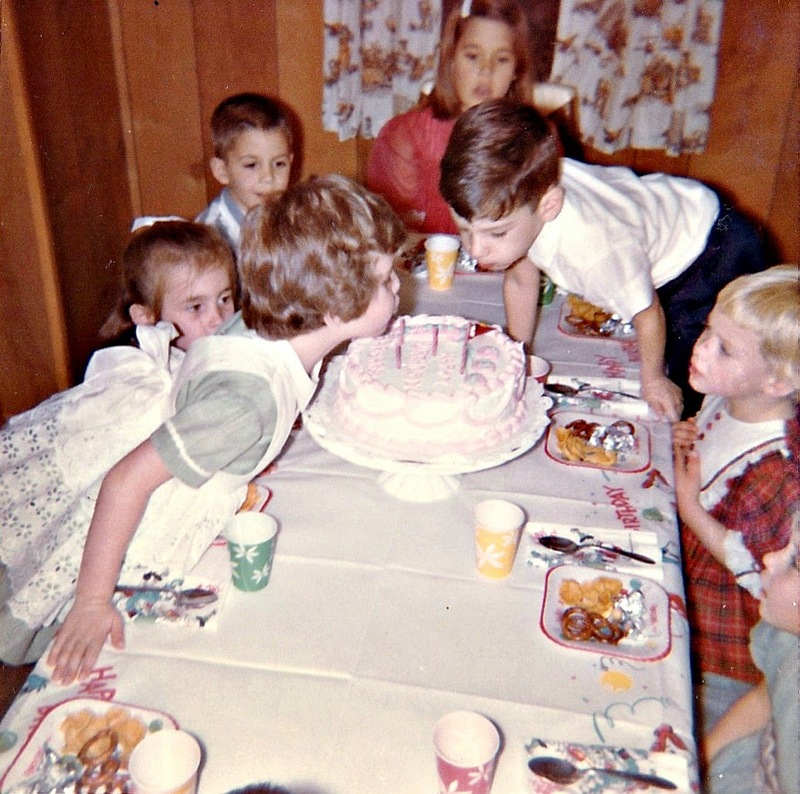 The recreation room my father had remodeled based on my mother's design brought back so many fond memories of long ago birthday parties and family gatherings. Our backyard, well it was still the same. It has this small bump of a hill, and when I saw it I suddenly recalled being a little girl sledding down it in my mother's arms. I just love the lyrics and the tune...take a listen...maybe this song will jar some old memories for you...and possibly, put a smile in your heart, as it did mine. I thought if I could touch this place or feel it. and grow old wanting to get back to." I Live in a Sheep Wagon??? 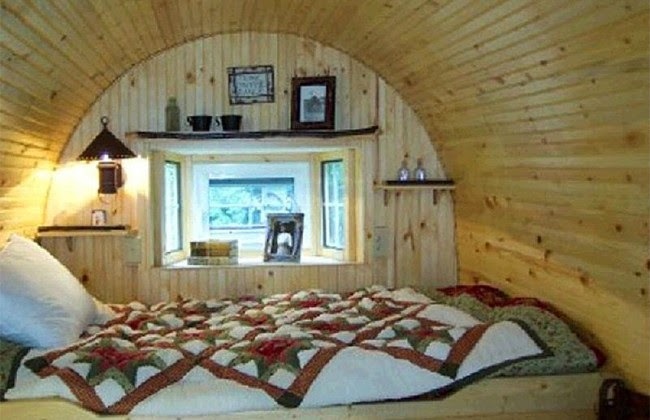 Have you ever heard of living in a sheep wagon? 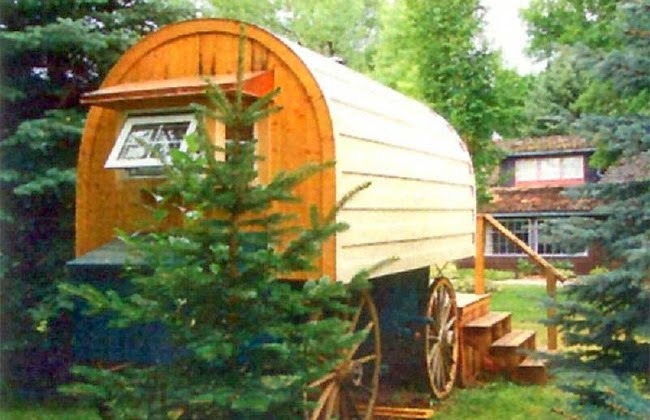 Well it is true...you can actually purchase a sheep wagon as an abode in Sheridan Wyoming. 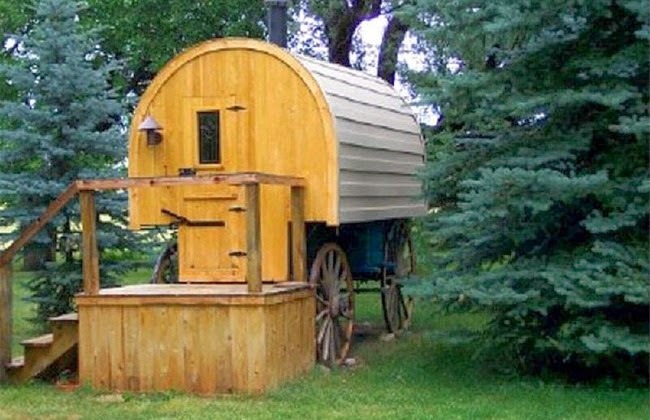 "Like thousands of other sheep wagons, this wagon made its debut on the western prairie and in the mountain meadows. The wooden frame beneath the wagon dates back to between 1890 to 1930. History tells us that this humble abode was the home of a nomadic sheepherder who followed his band in search of green pastures. 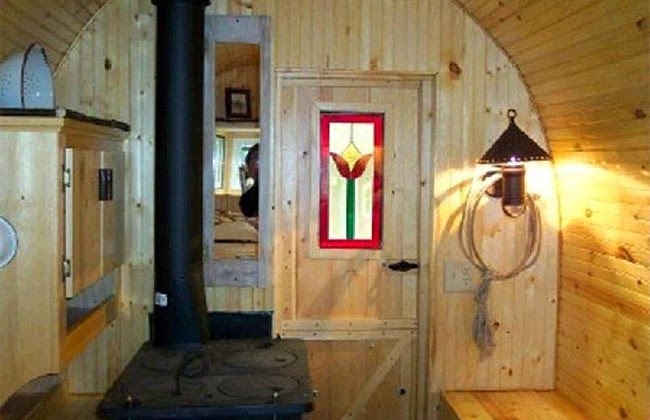 This ”home on wheels” was pulled from one location to another with a team of horses." 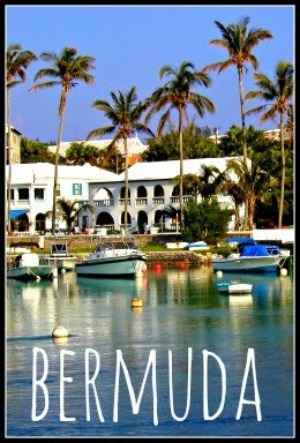 And what is the asking price for such a darling spot to hang your hat??? 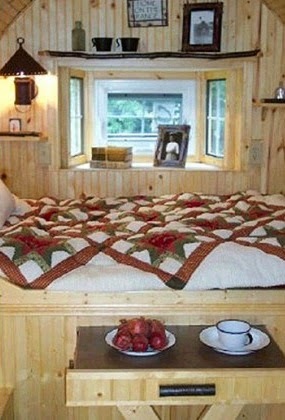 Hope you are enjoying a fabulous Sunday whether or not you call a sheep wagon home! 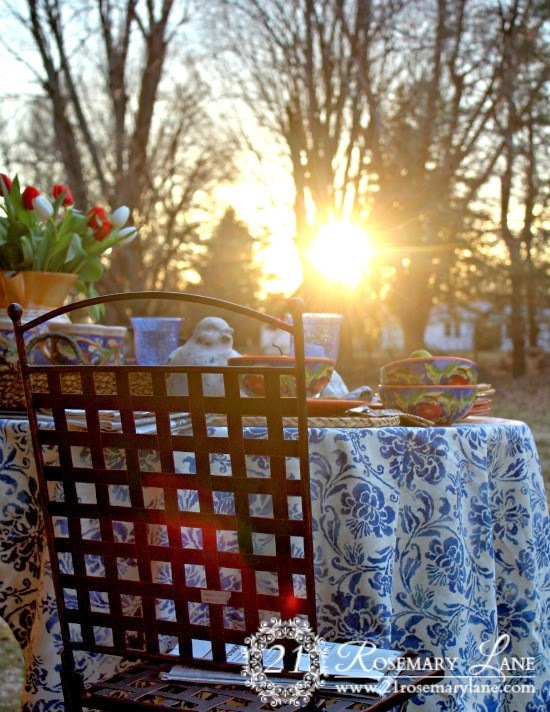 Well it is here...finally...the very first day of SPRING! And it is gorgeous outside here in the northeast. A little March wind but otherwise an absolutely perfect day!. 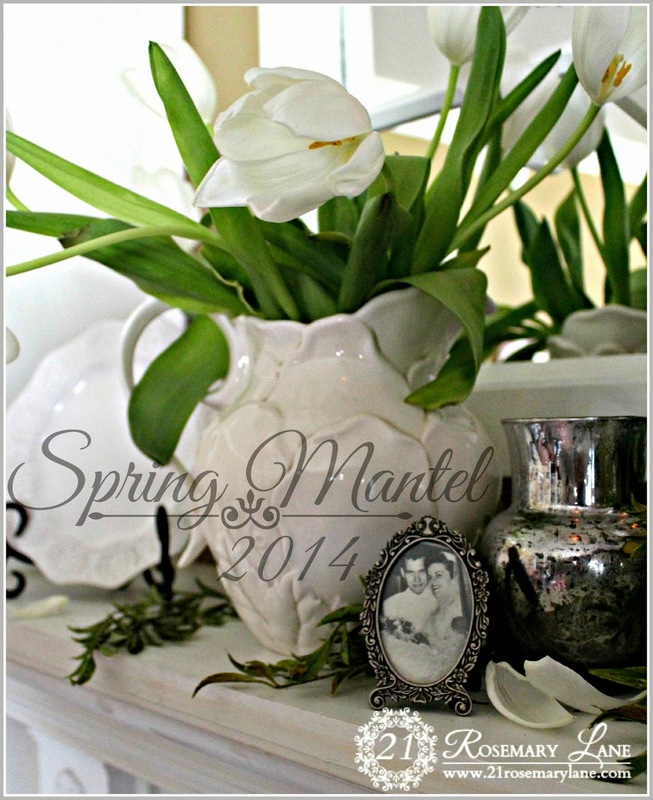 And the perfect day it was to create my Spring Mantelscape! 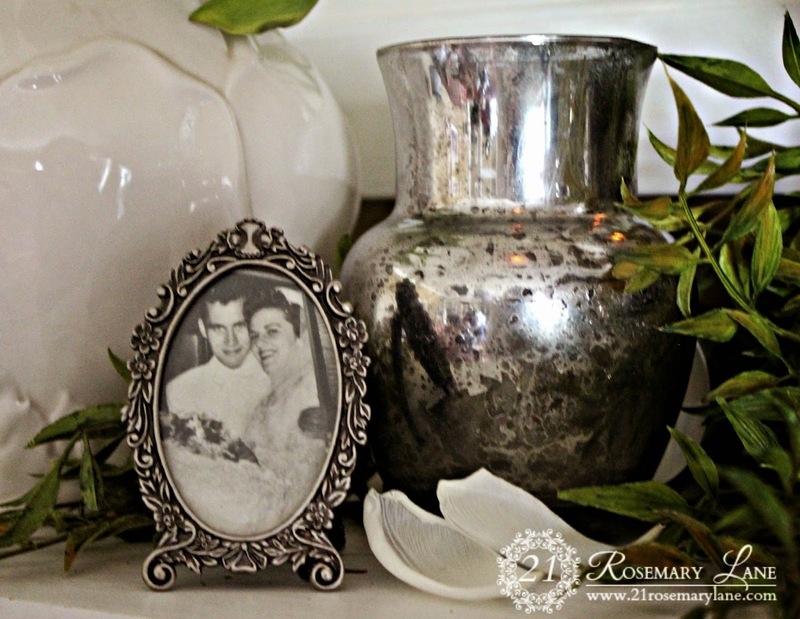 The picture in the pretty little frame is of my mother and father. They wed in September of 1956 and are still together today. And some said it wouldn't last! 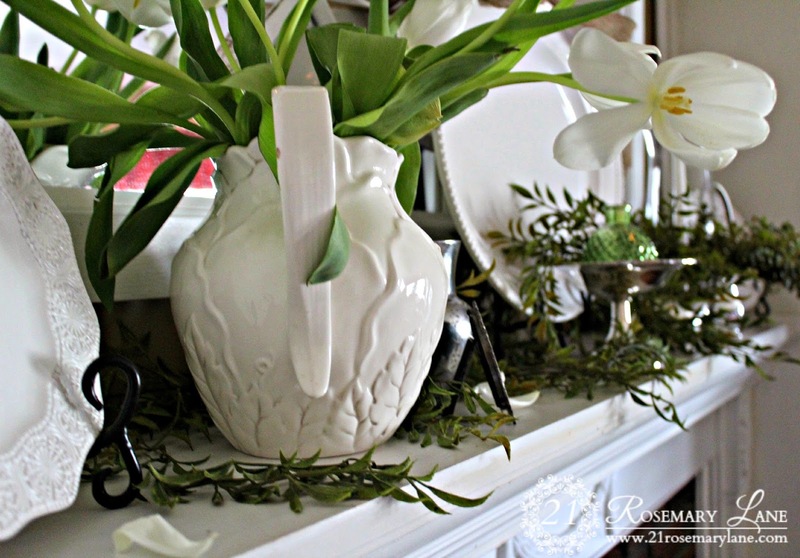 The small vase is faux mercury glass I created using Krylon's Looking Glass spray paint. To see the tutorial just click here. 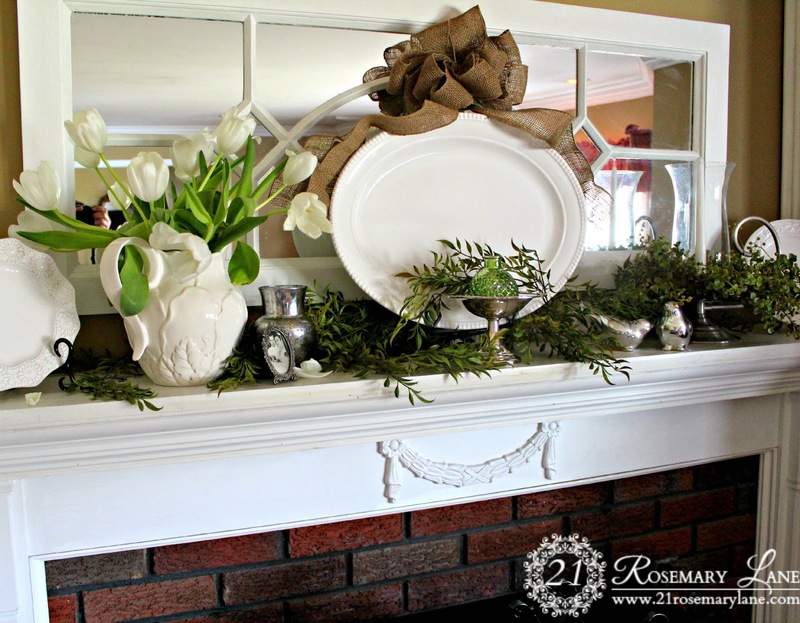 Sometimes I never know where I am going to end up when I start a project like putting together a mantel vignette. 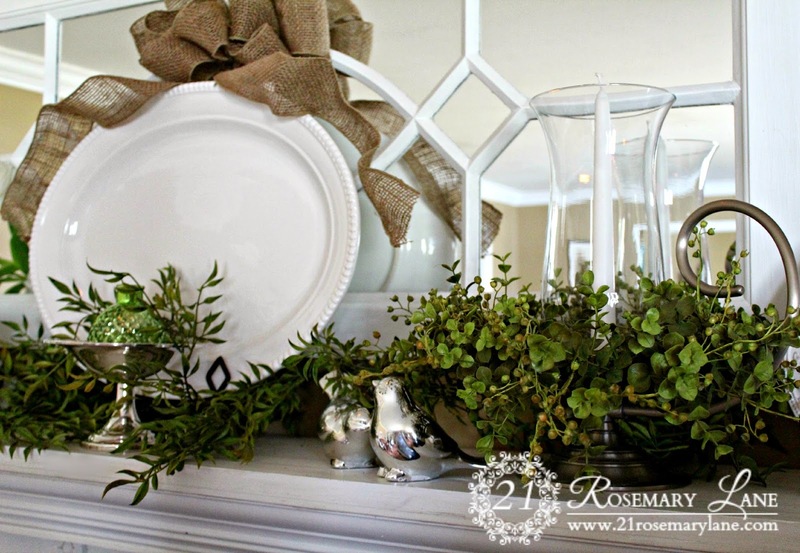 I pull a bunch of items together from around the house and group them according to color, size and materials they are made from. 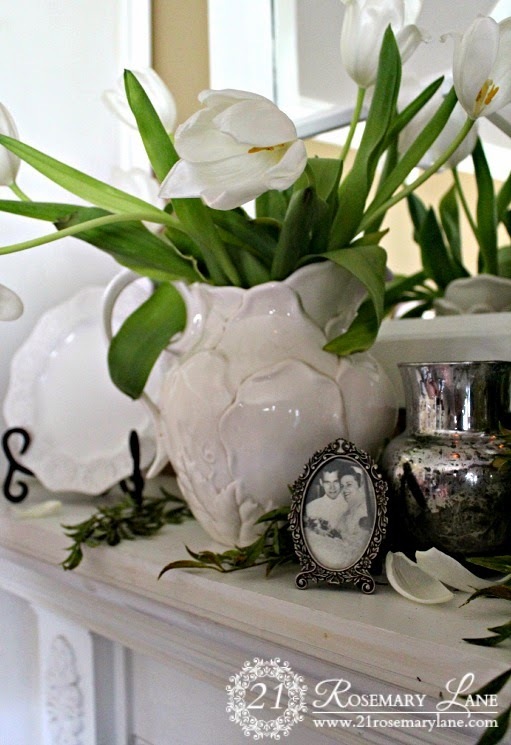 This year for some reason I am completely in love with white tulips, so the tulips became my jumping off point. 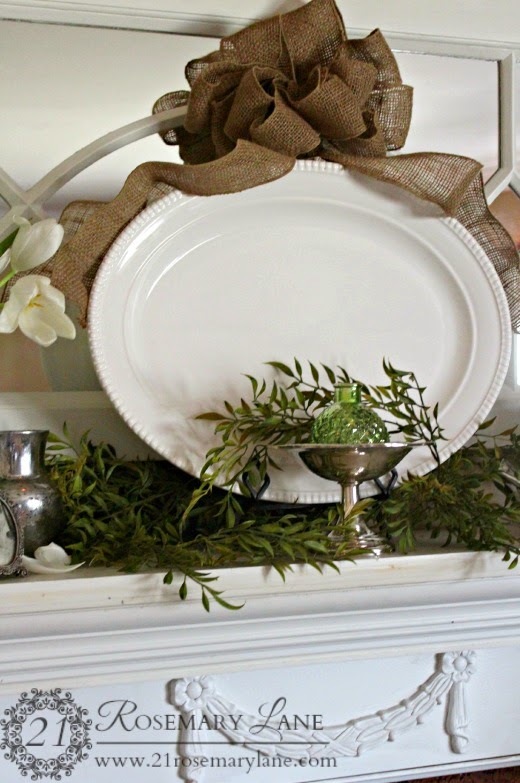 I decided to add a little burlap for a different type of texture and to frame out the large platter. 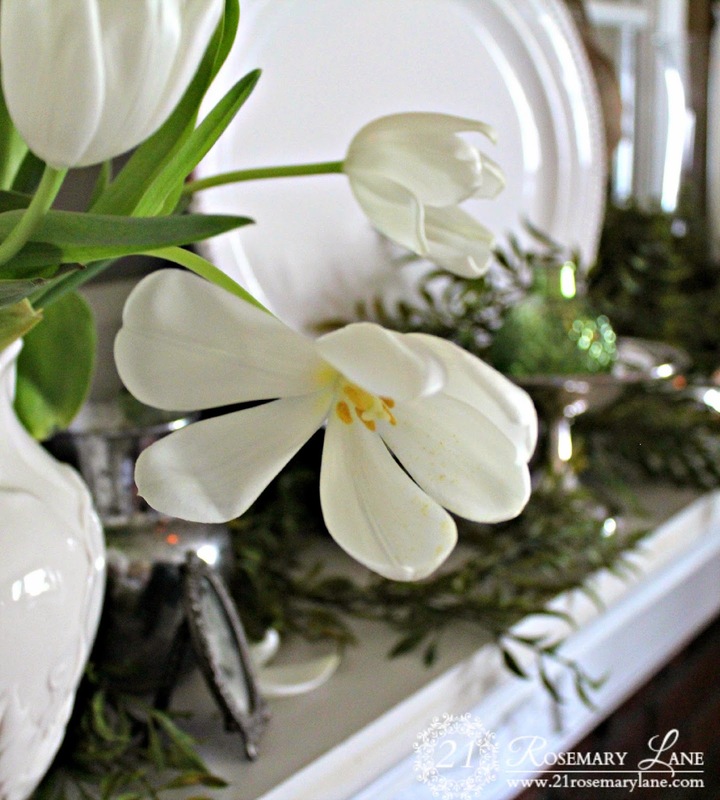 I adore the crisp fresh look of white and green together whether it is for Christmas or Spring. But as you already know I am a GREEN Gal!!! 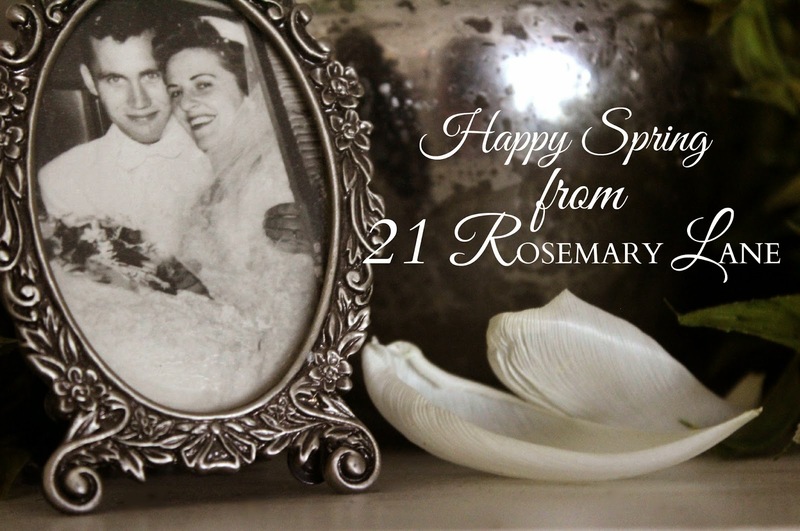 Wishing you all a wonderful first day of Spring!